Come see my booth and stage shows at the Official Spring Home Show at the Peoria Civic Center February 24, 25, and 26, 2017! As always, my family and I will be at my booth right next to the stage to talk about your plaster repair projects. I will be on the stage every day, partnering with Chuck Gabbert of C.T. 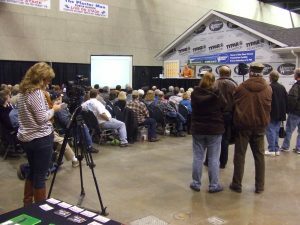 Gabbert Remodeling & Construction for “What You Need to Know About Remodeling,” a fun and fast paced presentation with great remodeling ideas from real life projects in Central Illinois. You won’t want to miss any of it! For more Spring Home Show information, visit the Official Spring Home Show website or Facebook page. Questions for me? Send me an email! 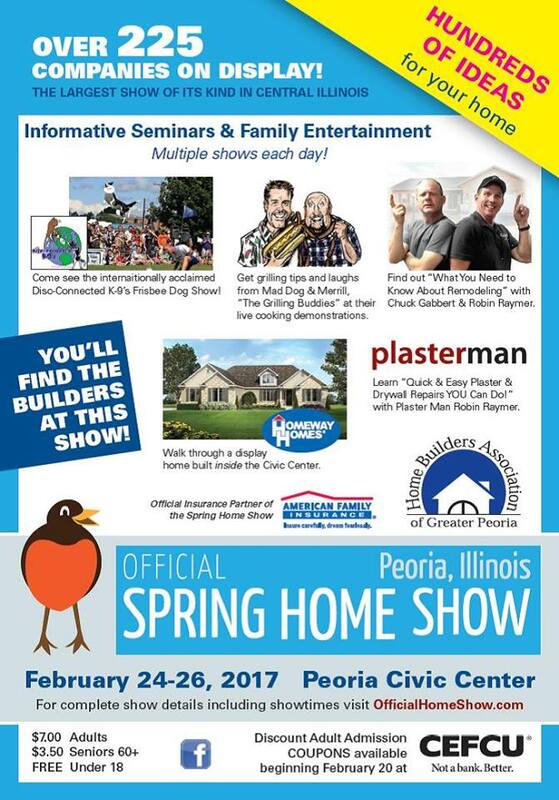 Author Robin RaymerPosted on February 18, 2017 February 18, 2017 Tags Central Illinois, DIY, Home improvement, Peoria Illinois, Plaster repair, Spring Home Show4 Comments on Come See Plasterman at the Spring Home Show in Peoria, IL!